Bono injured his back while rehearsing in Germany. Bono has left hospital in Germany today and is expected to return to Ireland to recuperate after his shock emergency back surgery but the injury has forced the band to postpone concerts. The band have postponed the entire North American leg of their 360 tour and it has also been confirmed that their Glastonbury appearance has been cancelled. 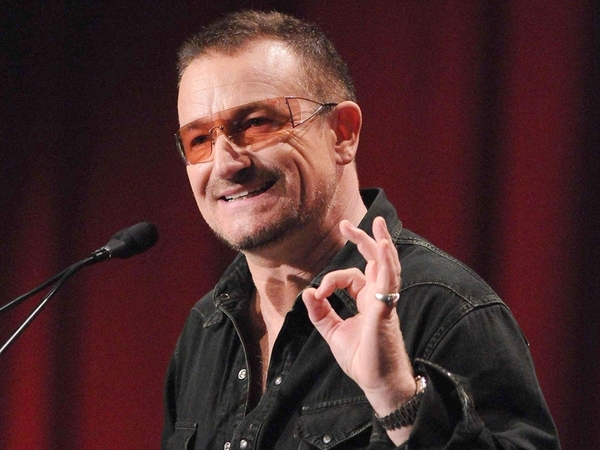 According to the Irish Times, band manager Paul McGuinness, speaking outside the Munich hospital where Bono has been recuperating since his treatment on Friday, said the 50-year-old singer "feels awful" about the tour changes, which will affect over a million fans. "Clearly this is a serious injury and the recuperation time necessary to rehabilitate Bono is a big problem for the U2 tour and has unfortunately necessitated the postponement of 16 shows in North America," he said. Watch an interview with U2 manager Paul McGuinness and Professor Joerg Tonn, the neurosurgeon who treated Bono. "Those shows were to occur between June 3rd in Salt Lake City and July 19th in Meadowlands Stadium." The earliest possible date for Bono's return, according to the band's website, would be August 6th in Turin, Italy. U2 were to have been the headline act on the main stage at Glastonbury on June 25th. 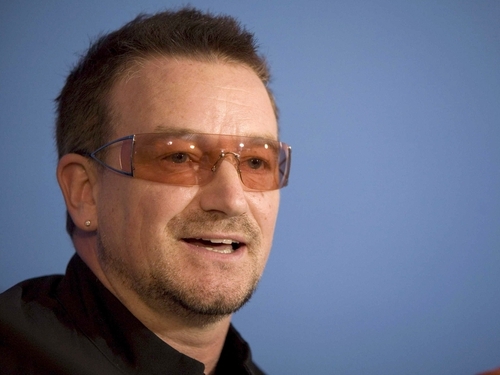 Speaking this morning Bono has said he is "heartbroken" by the turn of events. Professor Joerg Tonn, the neurosurgeon who treated Bono, described his condition as a "sudden onset disease" which caused temporary partial paralysis. The injury happened while the singer was training in preparation for the tour. "He was already in severe pain with partial paralysis of the lower leg. The ligaments surrounding the disc had an eight millimetre tear and during surgery we discovered fragments of the disc had travelled into the spine canal. "The surgery was the only cause of treatment for full recovery and to avoid further paralysis. Bono is now much better with complete recovery of his motor-deficit. "His prognosis is excellent but to obtain a sustainable result he must now enter a period of rehabilitation."